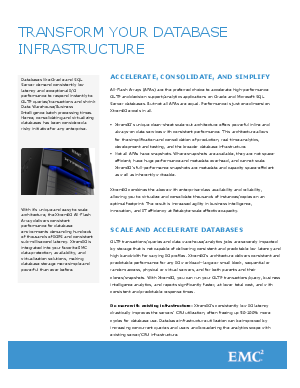 All-Flash Arrays (AFAs) are the preferred choice to accelerate high-performance OLTP and decision support/analytics applications on Oracle and Microsoft SQL Server databases. But not all AFAs are equal. Performance is just one dimension. XtremIO excels in all.